Building a new home? Knight offers luxury home living at an affordable price on your new home project. Tell us your criteria for space, equipment options and entertainment features; we’ll present you with a home theater system that delights you for years to come. Vacuum your home without the burdens of a bulky vacuum cleaner – no hauling, no pushing, and no pulling hair out of the track! Knight Security Systems’s intelligent structured wiring systems provide seamless integrated control of security, cable and satellite TV, audio and video, the Internet, telephone, lighting and HVAC. Our system is the first of its kind to bundle cables, distribute them throughout the house and tie them to a central panel. The mechanics of the distribution panel are a lot like a telephone switchboard of the past. You simply connect the service desired – be it telephone, entertainment or computer networking – to the room of the house where it is needed. 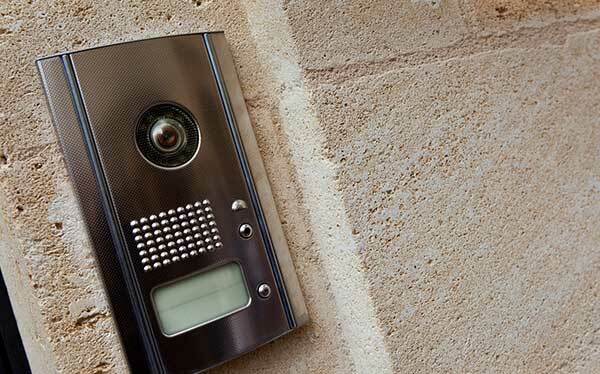 This high performance selective call intercom solution includes a front video door camera and a wall-mounted LCD display for enhanced safety and security. Wake to the sounds of your favorite playlist, filtering throughout your entire home. Set on and off times and custom schedules to suit your lifestyle. Wireless and wired options are available with speakers that blend seamlessly into the fabric of your home, controlled by a central system or your favorite smartphone or tablet.